We will be meeting up at Sheriffhall park and ride at 12.45 heading into town at 13.00 to a forming up point on Arthur's seat. We will ride from this point down towards the parliament to line the road from the roundabout at the park to past the parliament, we will stop and dismount to face the parliament to give them our thunder. 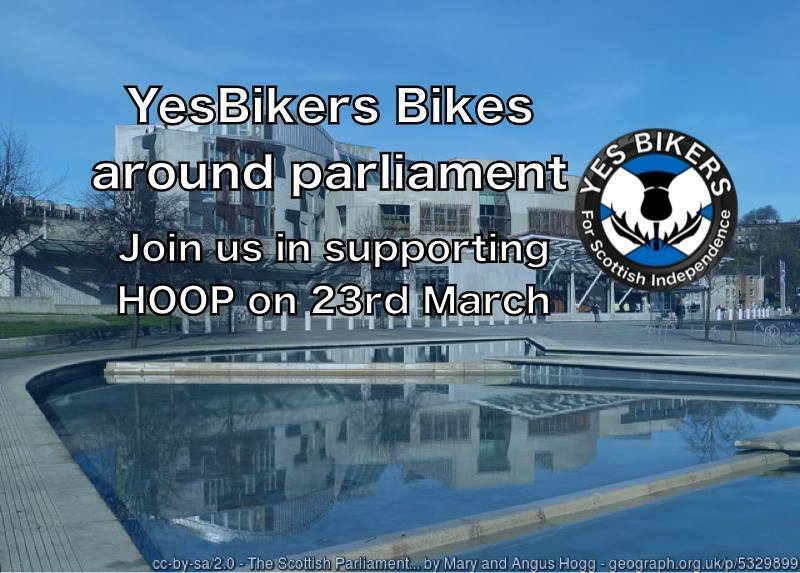 When we are moved on we will mount up, and ride around the two roundabouts between the park and the parliament for a few laps before parking up and taking part in the shields around the parliament at 14.00. We need as many bikes as we can get to achieve this guys so please help us on this one if you can. Hi is there a group riding through from Glasgow for this demo?